There are many issues related to the successful use of technology in the classroom. Some of the more salient include securing necessary annual funding, the development of dynamic plans, and decisions concerning platforms, hardware, T1 lines, software, and so forth. While these are perhaps the most obvious considerations, an often-overlooked but crucial determinant of whether technology succeeds or fails in the classroom is a less than obvious one…the teacher. While attention to choosing the appropriate hardware and software for the classroom is prerequisite, it is the skill and attitude of the teacher that determines the effectiveness of technology integration into the curriculum. Bitner, N. & Bitner, J. (2002). Integrating Technology into the Classroom: Eight Keys to Success. 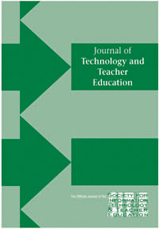 Journal of Technology and Teacher Education, 10 (1), 95-100. Norfolk, VA: Society for Information Technology & Teacher Education. Retrieved April 25, 2019 from https://www.learntechlib.org/primary/p/9304/. Office of Technology Assessment (OTA) (1995). Teachers & Technology: Making the connection. Washington, DC: U.S. Government Printing Office. Papert, S. (1993). The chi ldren’s machine: Rethinking school in the age of the computer. New York: Basic Books.